1Public Health Agency of Canada. 2016. Message from the Chief Public Health Officer of Canada: National Immunization Awareness Week April 23 to 30, 2016. 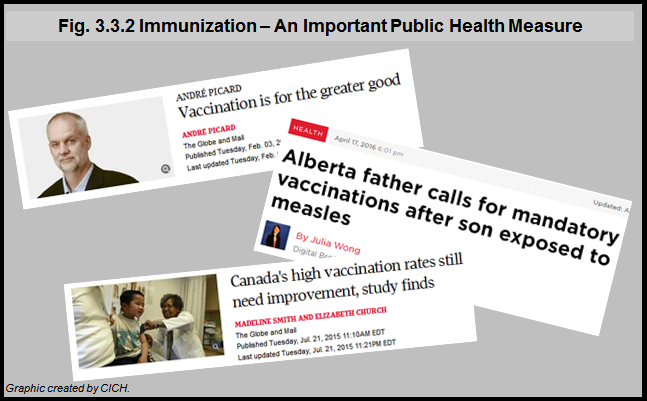 2Public Health Agency of Canada. 2016. Vaccine Coverage in Canadian Children: Results from the 2013 childhood National Immunization Coverage Survey.